Is Ali Alak The New CBI Governor? This was sent to me this morning by a good buddy and friend of the Dinar Community Marc G. – Thanks! Is Ali Alak The New CBI Governor? According to the below News Article from Iraqi News Source Xendan.org he is! Maybe it is too soon – but the CBI.iq website as of Tuesday, Sept. 2nd, in the morning, their website is still not showing the change and still lists Dr. Turki! Ali Alak – Is He Really The New CBI Governor? 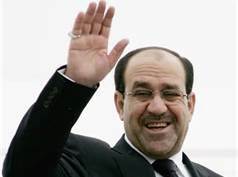 Khandan – Iraq’s cabinet decided on Tuesday, taking on the Keywords Secretary General of the Council of Ministers, the Governor of the Central Bank. Said Dr. Khairallah Hassan, Minister of Trade in a statement to “Khandan”, said the Council of Ministers held its meeting today, was chosen as a new governor of the Central Bank, after it reached the governor of the central bank and agency Abdel Basset Turki retirement age. He said the Minister of Commerce in the context of his statement that the relationship to fill the position of Governor of the Central Bank would be temporary. I’m optimistic and excited if this news is real and is confirmed with additional news articles later today, and finally by seeing the CBI.iq’s website updated. I really hate to have to mention this WARNING – but the Hack Gurus will certainly use this good news for their next “calling for the RV” rants and try to convince their followers that they have some sort of “inside knowledge” and you just watch, they will say something like: they have actually known about this for a while now, but just could not tell you because they were sworn to secrecy!!! They are so consistent in their loads of crap and garbage – look it up for yourself, year after year, the same garbage and lies! This News Article shows us that Maliki’s grip on the CBI has finally been destroyed (if it is accurate) – since Dr. Turki was put in there by Maliki who used “trumped-up charges” against Dr. Shabibi about 2 years ago. We wait to see, but I’m encouraged! YEA!!! Fuad Masum is Iraq’s New President! Well, I finally have something to post about, and what a “humm-dinger” it really is! Fuad Masum was elected by the Iraqi Parliament today, Thursday July 24th 2014 to be the new President of Iraq, replacing the now former President Jalal Talibani.